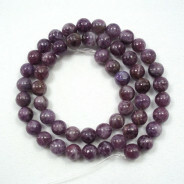 Deep Purple Cats Eye Glass Beads Round 8mm (~50pce Strand) - 40cm/16'" Strand. 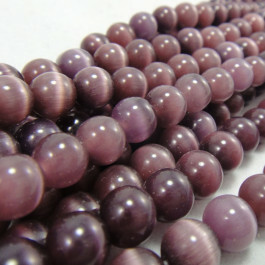 Glass Cat’s Eye beads are a man made bead created using fiber optic glass which, is usually used in the telecommunication industry. 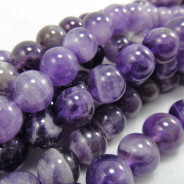 For this reason Cat’s Eye beads are also known as “Fibre Optic Beads”. 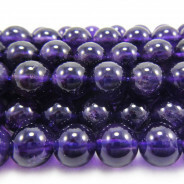 These remarkable semi-translucent beads are composed in the way to create an amazing light refraction effect that shimmers with movement.